That’s on. 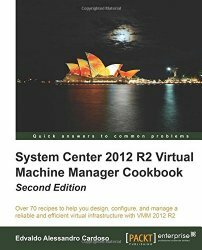 After months of writing and reviews, my new book System Center 2012 R2 Virtual Machine Manager is now released. Covering : Windows 2012R2 aand Hyper-V new features, System Center 2012 R2 VMM, Operations Manager, App Controller and Azure integration as well Veeam Management Pack. Cloud opportunities and offerings that will benefit organisations, as well as the challenges and Migration Strategies to help overcome these. Registrations open at 8.30am. A light breakfast will be provided. Presentations will commence at 9am sharp and finish at 11am. Alessandro Cardoso is a passionate technology evangelist and a subject matter expert in cloud, virtualization and management. He recently published his book; ‘Microsoft System Center Virtual Machine Manager 2012 Cookbook’ http://wp.me/p15Fu3-mK, and has reviewed 5 other books. Alessandro is a speaker at key technical events in Australia and New Zealand and has been a Microsoft Most Valuable Professional since 2009 leading major Cloud, Virtualization, UC&C, AD and Exchange projects for large customers in APJ. Mitch Denny has been working with the .NET platform since the year 2000 when the first alpha releases shipped. Since then he has been awarded MVP status nine times in ASP.NET and more recently Microsoft ALM. Currently Mitch is working as Readify’s Platform Technology Specialist – focusing on bringing exciting new products and services to market and working with technical specialists to continually refine our technical vision. Microsoft published an infographic about security in Azure. The Infographic is an overview of security, privacy, and compliance in Azure and it is a great place to start if you are unsure about security in the Cloud space. Security, Privacy, and Compliance Whitepaper. New whitepaper details how Azure helps customers achieve the economic benefits of the cloud while furthering security and compliance. Privacy Overview Whitepaper.New whitepaper describes how Azure helps safeguard the privacy of customer data in the cloud. And much more on the newAzure Trust Center Resourcespage. Migrating a Hyper-v VM to Azure. What about the static IP Address? When you have an on premises environment you normally configure the virtual machines with static IP’s ( at least in most cases ). But what happens when you want migrate to Azure? 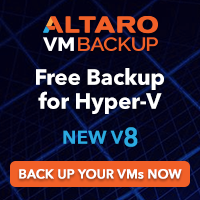 The Hyper-V Virtual Machine was created as Generation 1 VM. The Hyper-V Virtual Machine disk was created with VHD disk and not VHDX (if you have a VHDX, convert it with the Convert-VHD Windows PowerShell cmdlet) and confirm it sizes is less than 1023GB. The Hyper-V Virtual Machine has only ONE network adapter and that it is of type synthetic and NOT legacy. The network connection is configured to obtain its IP address automatically (static IP addresses within the VM will not work). The Virtual Machine must be part of an Azure Virtual Network.